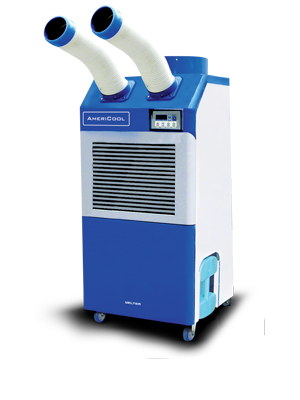 AmeriCool server room portable air conditioners are designed to perform in both room cooling and spot cooling situations. 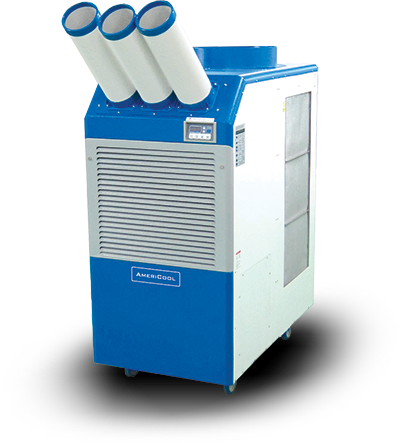 Our units are ideal portable data center air conditioner units and can be best used for commercial applications such as server room cooling, computer rooms, along with cooling individual data system equipment. After a quick and easy installation, you can have your AC unit operating in no time, making it perfect for mission critical needs, capable of running 24/7. 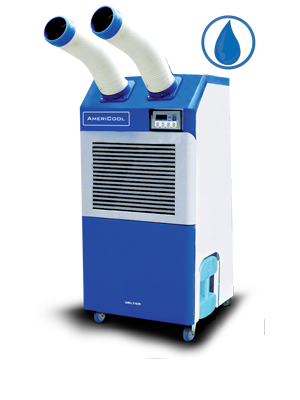 Backed by industry leading reliability, AmeriCool AC units are sure to handle your portable air conditioning needs. 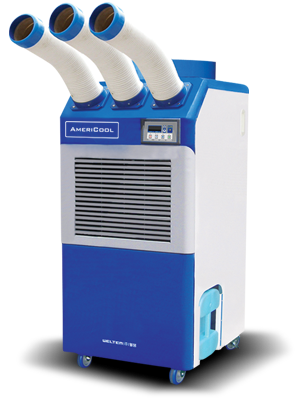 AmeriCool realizes that any given circumstance has its own set of specific needs, and our product line and optional accessories are designed to allow for the right fit for one's specificcomputer room cooling needs. 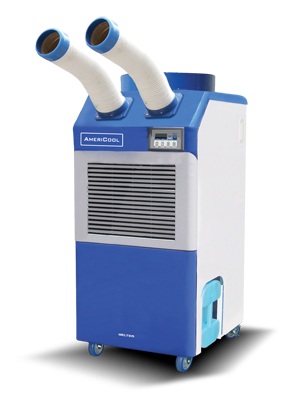 Regarding the Key Features, each system is designed for room and spot cooling needs; these units are ideal for allmission critical, server room coolingneeds. 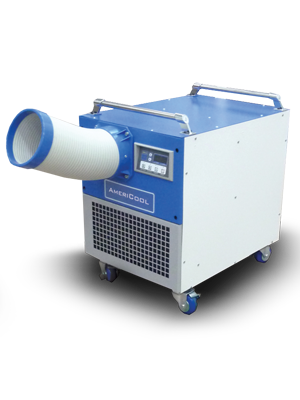 If you require a short term cooling fix our product is also available for rent through any one of our distributors, typically in situations requiring emergency or temporary cooling needs. Cooling units commonly need to cool down to 68 degrees for application such as server rooms and all AmeriCool units cool to 64 degrees for your convenience and to create the perfect environment most suitable for individual data system equipment, and all of your specific server center climate control requirements. 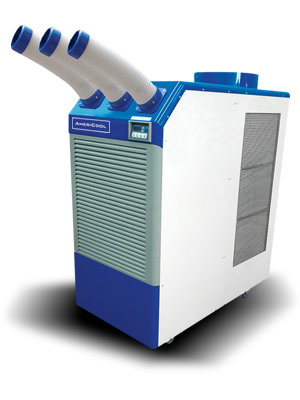 The units are designed to be simple to use, as they can be ready for use within a single day and are compatible with generators. 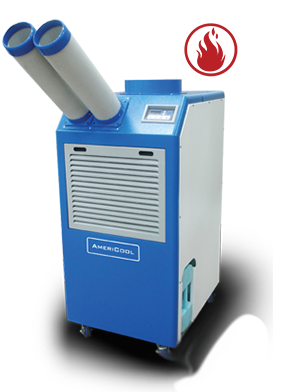 They have a self-diagnostic system along with an automatic restart function, allowing you to literally plug in the portable air conditioner system and trust your mission critical, data center cooling to essentially take care of itself even in the event of a power failure. The only recommended maintenance is the regular washing and cleaning of the filter. Along with virtual self-care our units have hot and cold ducts that are easily extended to the correct fit, so you won't need much manpower at all to get the air conditioner system going. Our product's have been engineered for easy installation and maintenance has been engineered while keeping product quality as our number one priority. There is an off-timer option, though for mission critical needs such as computer room cooling, one would most likely benefit from the 24/7 cooling capability and the automatic restart function if there is ever a power outage. When power is restored this enables the air conditioner system to restart and run so that there is never a moment missed and the machine can continue its cooling.